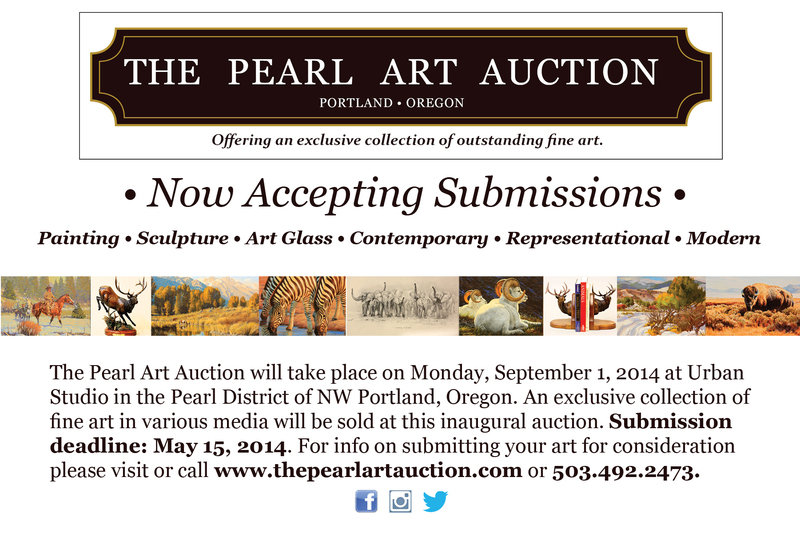 We are currently in the process of accepting submissions for our first annual fine art auction, The Pearl Art Auction. If you have been thinking of selling some of your art collection, perhaps to downsize or make room for new pieces, The Pearl Art Auction could be you answer. The Auction will be taking place on Labor Day, September 1, 2014 at Urban Studio, a contemporary event venue located in the Pearl District of Portland. It has been scheduled to coincide with Portland’s annual “Art in the Pearl Festival” which takes place all weekend long. The Pearl District has a reputation as an arts culture hub and is very popular with visitors to the region. Rip Caswell’s main goal with The Pearl Art Auction is to increase recognition of the Pacific Northwest, and in particular the Portland/Vancouver area, as a major art market. It is Caswell’s hope that this event will unite art dealers and artists of the region in the common cause to build a signature event which will put Portland, Oregon on top and gain the attention of artwork collectors across the nation. 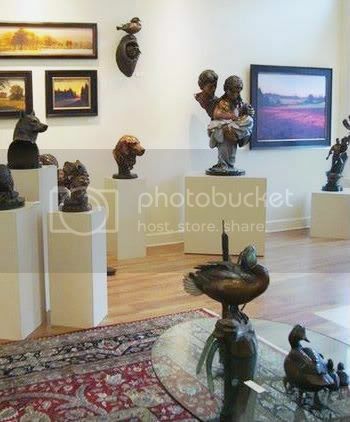 Taking cue from highly popular and successful art events such as the annual Jackson Hole Art Auction and the Coeur d’Alene Art Auction, Caswell and his staff have taken action toward creating a similar event in his home state. Announcements have been sent to galleries, art collectors and artists in the region, along with requests for submissions of artwork for the auction. Work will be juried in and quality kept to a premium. For more information about The Pearl Art Auction, including attendance and the submission process, please visit the website: www.thepearartauction.com. 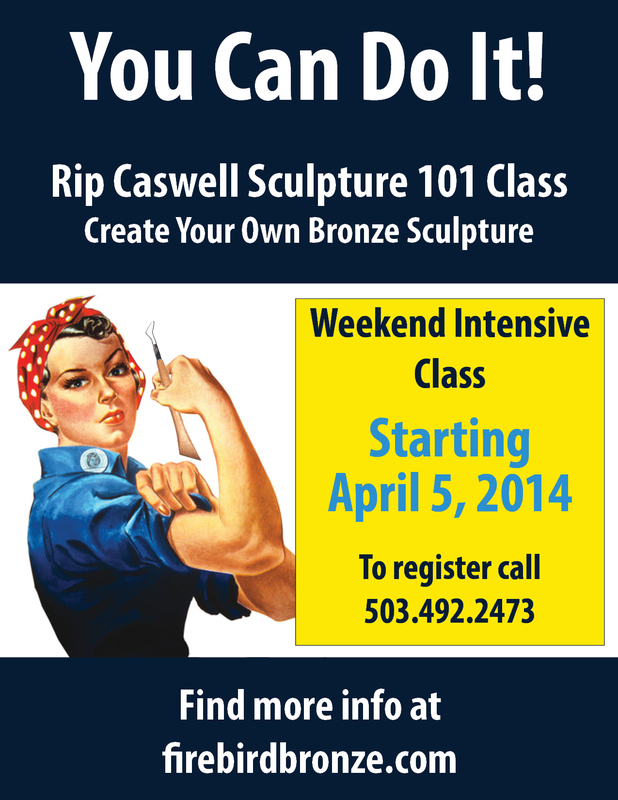 Saturday, April 5, 10-1pm at Caswell Gallery in Troutdale, OR. Students will start their sculpture under Rip’s guidance and take their piece home to continue work. Sunday, April 6, 1-3pm at Firebird Bronze in Boring, OR. Students will finish their sculpture and initiate the start of the casting process. Saturday, April 12, 10-4pm at Firebird Bronze in Boring, OR. Students will continue with the casting process and finish their bronze on this day. Bring lunch.